College of Education, Akwanga NCE Teaching Practice List Successfully Published and Uploaded Online for 2018. 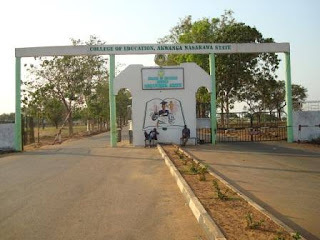 This is to inform all the NCE students of the College of Education Akwanga, Nasarawa State, (COEAKWANGA) who are eligible for teaching practice that the management has released the Teaching Practice List for 2018. The list has been uploaded on the school website. Students are to log on to http://www.coeakwanga.edu.ng/teaching_practice.php to check their names by using the search textbox to search by Name or Matric Number.